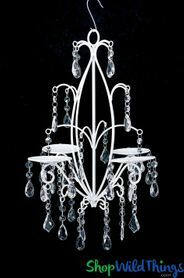 Floral chandeliers are a top trend at luxury weddings and events, and our workhorse structural pieces make this look gettable for new designers and experienced pros alike. 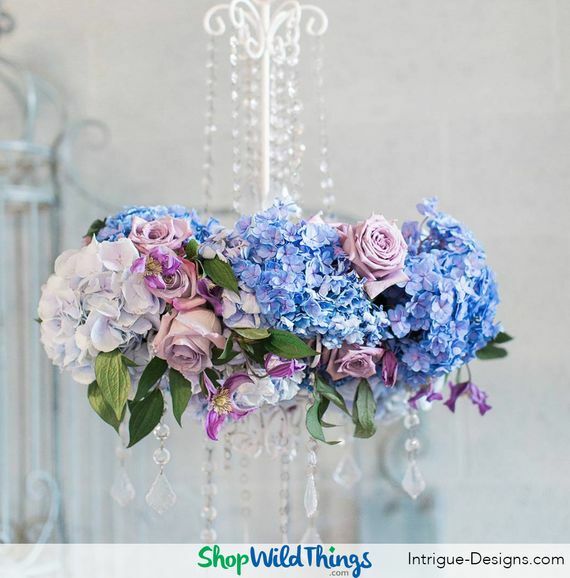 With the right ShopWildThings floral chandelier as a base, you can dress up your next venue with custom floral creations at a variety of heights for maximum impact. Exuberant blooms in jewel tones contrast perfectly against the natural setting at the chic outdoor wedding in photo #2 above. 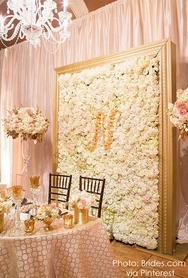 A series of uber upscale orchid floral chandeliers is a gorgeous Decor element at the outdoor reception in Photo#3. 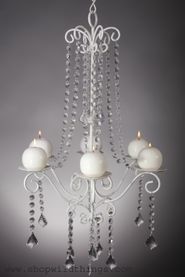 Complemented by hanging raindrop glass candleholders above and a long, low floral runner on the table, these floral chandeliers take center stage without upstaging the centerpiece. Sometimes, your already pretty space needs just a little je ne sais quoi. Except that we do sais quoi ~ floral chandeliers are a pretty, classic way to fill in ceremony and reception spaces with elegance that does not overwhelm. Floral swags and a floral chandelier in creams and pinks highlight the most important moment of the day without overwhelming the bride and groom, and they photograph perfectly. We love the floral chandeliers at staggered heights and how they add a pop of color and overall gorgeousness to any reception, and by hanging several of them low over table, you can maximize seating and conversation by eliminating the need for tabletop centerpieces. 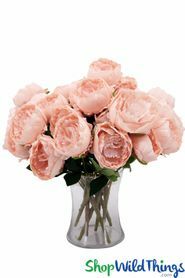 Making florals do double duty in this way is a secret to maximizing your clients" budgets, and there"s no better way to prove that a professional event designer is worth every penny than to take good care of the dollars entrusted to you. In Photo #5 close-up of this hydrangea and rose floral chandelier shows just how doable this look is with our floral chandeliers as your base. Floral chandeliers are one of those quiet worker bee pieces that don't take the spotlight, but that make your design work shine by facilitating show-stopping arrangements, efficient event setup, and myriad design concepts, week in and week out. Whether you need to build a top flight design warehouse, or to finish out your existing stock with a few key pieces, let us help you find the innovative Decor must that will make you money immediately. Our customer service folks are the nicest in the industry, and they're ready to help you place an order that will take your designs to the next level. Give us a call at 1-928-855-6075 and let us help you find the reusable, sustainable Decor products that will bring top shelf design within reach with premium quality, easy setup, breakdown, and storage, and ultimate design flexibility. 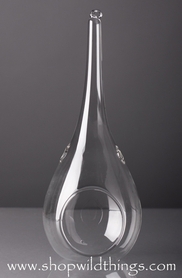 We look forward to seeing how you use our pieces to make your clients" dreams come true.